Dividing marital assets in divorce is one of the more painful aspects of this process for many couples. But, most concede the appropriateness of dividing the proceeds of the marital home, furniture, bank accounts and other personal effects as a necessary part of the divorce process. This same understanding tends to be abandoned when it comes to dividing retirement accounts. Spouses are often very protective of the nest egg established through investment in a retirement account, and want to resist dividing an asset that was directly created and supported by the hard work of one individual. However, retirement accounts and other investment options are typically subject to division in divorce, but like many financial matters, giving a former spouse a portion of this type of asset outside of the established procedure can lead to significant tax consequences or may not work at all. Many couples try to handle their divorce without the assistance of an attorney thinking it will save money and hassle, but certain issues, such as the division of assets, are quite complicated legally, and are better addressed by someone knowledgeable about the laws that govern divorce and the division of assets. A discussion of how retirement accounts are evaluated for division in divorce, and some issues that can complicate completing a transfer to the former spouse, will follow below. One of the principal purposes of the divorce process is to provide a method for dividing shared assets so each spouse walks away with enough property for financial security, and is not facing destitution. However, only those assets considered to be marital property are within a court’s power to divide, and retirement accounts, pensions and the like may be excluded from the marital estate in whole or part depending upon when and how they were created. Only retirement assets acquired during the course of the marriage or enhanced with contributions from marital assets are divisible in divorce, meaning any account or portion of an account existing prior to the marriage would likely be categorized as non-marital property and not subject to division. Division of property in Florida must be equitable or fair, and while the default starting point is a 50/50 split, a court can deviate from this apportionment if necessary to obtain a just result, a determination driven by the specific facts of each case. 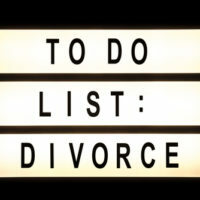 Spouses who attempt to complete a divorce themselves may not know about the need to execute a Qualified Domestic Relations Order (QDRO) to divide many retirement accounts, particularly 401(k) plans, and avoid significant taxation and penalties on a transaction that would be viewed as an early withdraw. Retirement accounts cannot be legally distributed to someone other than the account holder, so a divorce should not be concluded until the necessary documentation is prepared and signed, just in case an ex-spouse dies or is otherwise incapacitated. Further, dividing a government pension is even more problematic, as they are not subject to QDROs, and thus are not required to make payments to an ex-spouse or non-employee. To get around this obstacle, it may be better to have value of the account determined by an outside appraisal and, in lieu of dividing the pension account, take another asset of equal value. Finances are a legitimate concern following divorce, but deciding to forego hiring an experienced divorce attorney to review your case, may leave you in worse a position that could have been avoided. 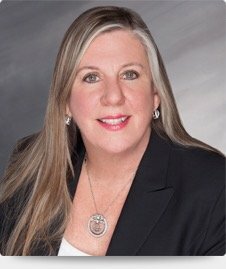 The Fort Lauderdale law firm of Joyce A. Julian, P.A. understands the stresses of divorce, especially property division, and work to get you the result you want and deserve. Contact the office today for a free consultation.